Creating an all-season modern tiered self-sustaining park, preserving existing landscape with minimal architectural intervention. Mountain path with valleys, peaks, Russian forest and fields. - Harsh weather conditions protection by means of relief and forming trees in groups. 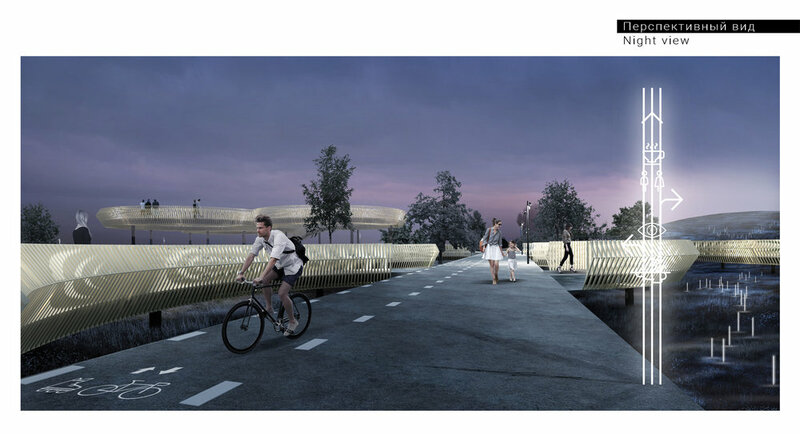 The design composition is based on natural landscape factors. The territory is filled with multiple time spending scenarios, depending on the time of the year. Main transit paths connect park entrances and create links with the surrounding context and historical park. Secondary ways connect different park areas by means of modular path. Technical roads are organized for pavilion and technical zone maintenance. - Creating lawns with perennial grasses. 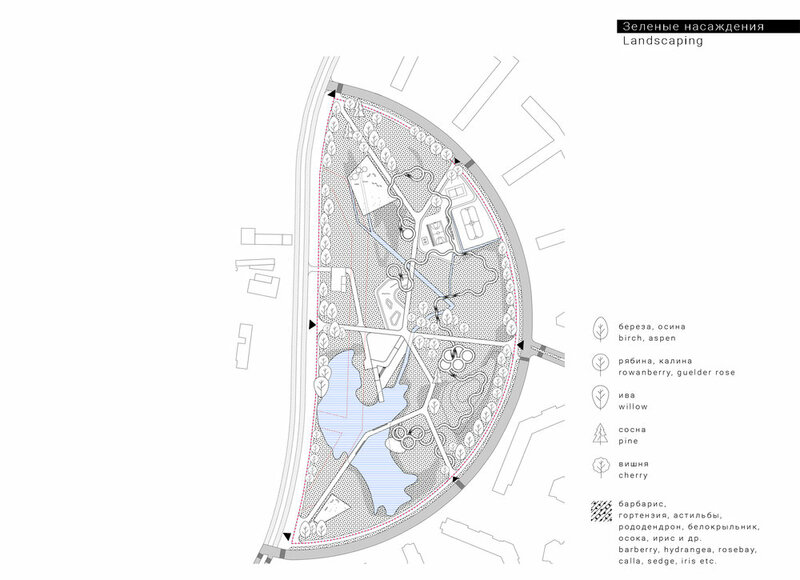 Creation of natural landscape park with minimal architectural intervention and low maintenance costs. Visitors will be enjoying the change of seasons and multiple functional areas of the park.